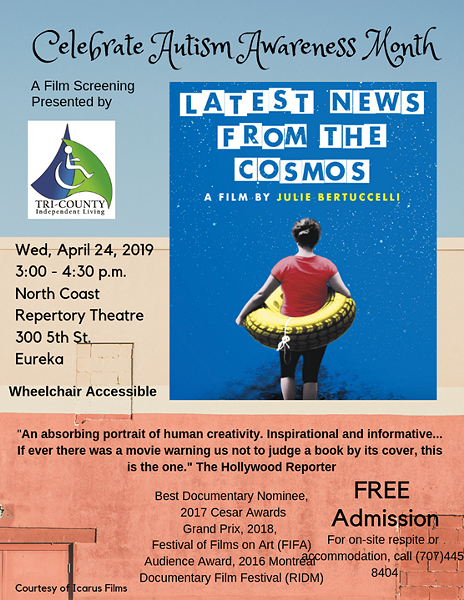 When: Wed., April 24, 3 p.m.
As part of Autism Awareness Month, Tri County Independent Living presents the acclaimed subtitled French documentary about a poet who is both non-verbal and autistic. Free respite care available on site by request. Call 445-8404 to request accommodation or respite services.